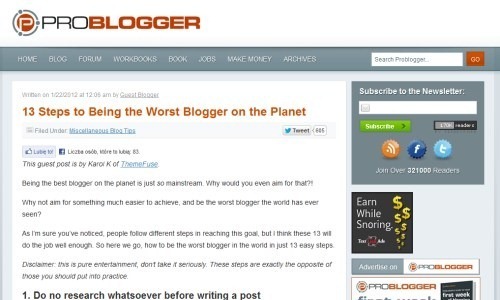 Who Else Wants to Be the Worst Blogger on the Planet? Did it work? Well, I don’t know … and there’s probably no actual way of finding this out. But at least it was entertaining (I hope so). So how many of these steps are you guilty of taking? I know that there’s at least a couple on me.